As we March into the second quarter of 2019 (pun intended), we’re reminded that part of what makes this season fly by as fast as it does are the picturesque landscapes that dot our coastlines. Whether you’re a seasonal or full-time resident, or just discovering the region for the first time by talking to one of our local experts, chances are you’ve spent a fair amount of time enjoying the powdery sands of the Gulf Coast beaches – and there are plenty to visit. So while many around the country are gathering around the TV for NCAA’s March Madness this month, here in Southwest Florida, we’re preparing for our own type of annual gathering, Spring Break. In honor of both, we’re pitting our favorite coastal hangouts against each other and letting YOU decide who will reign supreme of the seaside this year. 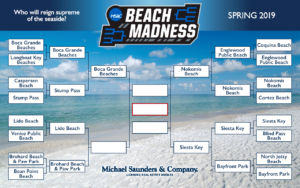 Throughout March and early April, beaches in Sarasota, Manatee and Charlotte counties will go head to head on our Facebook page via the polls feature. The winner of each round will advance until we have a winner. In an effort to narrow the selection down to our very own “Sweet 16,” we’ve enlisted the help of our agents and office managers, but if you don’t see your favorite (or you think one was voted out too soon), let us know in the comments below. A wildcard round may be added at a later date. Check back here to keep tabs on the winners, and be sure to rally with friends so your preferred paradise makes it to the final! Unsure which beachfront beauty deserves your vote? Allow us to provide some insight into each. Siesta Key – What can we say about Siesta Key that hasn’t been said by the likes of Stephen Leatherman (aka Dr. Beach), Trip Advisor or the Travel Channel? As one of the best beaches in America, millions flock year-round to experience its pristine, flour-like sand. In addition to its softness, the sand’s 99% quartz composition means that even in the heat of August, its reflective quality keeps it cool underfoot. Also the widest beach in the country, you’re sure to get a good seat. Plentiful lifeguards and amenities make it a great destination for the family, and with Siesta Village close by, you can partake in the finest of island flair – whether enjoying a drum circle or seaside cuisine. 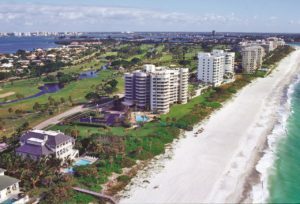 Cortez Beach – Also known as Bradenton Beach, Cortez Beach is located just north of Coquina on Gulf Boulevard and boasts three-fourths of a mile of sugar-white sand. Restrooms, lifeguard and free parking add to its appeal, but most visitors comment about the restaurant and snack bar that serves pancake breakfasts on weekends. Additionally, the other end of the expansive, paved multi-purpose trail from Coquina Beach offers additional recreation…or maybe just a quick mode of transportation if you’re after those pancakes. Bean Point Beach – At the northernmost tip of Anna Maria Island, Bean Point is a new coastal favorite that remained one of the area’s best-kept secrets for a long time. In talking with frequent visitors you’ll often hear “must see” or “hidden gem” used frequently, and it’s easy to understand why. The exclusive beach is known for unobstructed views of the vast Gulf of Mexico and is frequented by photographers for both wildlife shots as well as the quintessential dreamy beach shot. 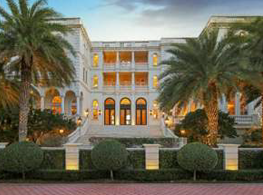 As historic as it is beautiful, Anna Maria Island founder George Emerson Bean chose this locale for his 160-acre homestead. North Jetty Beach – North Jetty Beach is located on the southern tip of Casey Key. While a great spot for fishing and picnicking for families and large groups, this aptly named beach is best known for the jetties that make it one of the most exciting surfing beaches on the West Coast of Florida. As this is also right along the Intracoastal Waterway, frequent boat traffic makes it a wonderful location to “spot the yacht” and other fabulous vessels. Amenities here include restrooms, parking, bait shop, large and small picnic shelters, horseshoe and volleyball courts, concessions and dune walkovers. Lifeguards are usually on duty. Nokomis Beach – To find the Nokomis beaches, turn west on Albee Road off U.S. 41 and cross over the Nokomis Bridge. Straight ahead, you’ll find Nokomis Beach with ample parking in two lots, lifeguards, picnic tables, grills, and bathrooms. Some have said it could be the best beach for shelling, but as that changes with the tide (literally), we like to highlight the array of activity that occurs there on a daily basis – from morning beach yoga and hula hoop fitness classes to walking clubs. An evening drum circle every Wednesday and Saturday makes this a great beach to celebrate the setting Gulf Coast sun. Devoid of any commercialism, you’ll be able to live life simply and focus on the array of wildlife…or even the joy that comes from eating coastal pub fare from the newer Beach House concession stand on the boardwalk. Caspersen Beach – Caspersen Beach is located south of the Venice Airport on Harbor Drive. Another good shelling beach, many come to Caspersen exclusively to unearth prehistoric shark teeth as they walk along a 20-minute nature trail. Visiting Caspersen, you will find that the southern two-thirds of beachfront have been left in their natural state. Many people would describe this as the uncultivated, windswept and secluded area. A dune restoration system with walkovers has been implemented to preserve the shoreline. Restrooms, picnic tables and showers are available, but best be careful because no lifeguards are on duty. 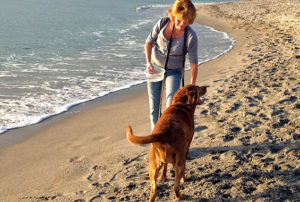 Brohard Beach & Paw Park – This beach not only gets two thumbs up but four paws as well! As the only beach in Sarasota County where canine companions can join their owners for fun in the sun, this beach resembles any dog-lovers wildest dream. Dozens of breeds of varying sizes and colors are allowed off leash to run, splash, dig and maybe even sneak a sandwich if you’re not careful (there’s a time-out section for owners looking to discipline said dog). Not to worry, though, if that’s not your scene. There’s a non-dog area to this beach that’s equally as enjoyable and safe to eat a sandwich. Venice Public Beach – About a half mile from downtown Venice, Venice Public Beach is perfect for sunbathing and appreciating the crystal-blue waters of the Gulf. Easy to navigate pathways connect the beach to downtown, so if you’re looking for a nice, scenic stroll or bike ride with a reward at the other end, this is a great choice no matter which way you’re headed. Bayfront Park – Located at the north end of Anna Maria Island (around the corner from Bean Point Beach), Bayfront Park enjoys dramatic views of the Sunshine Skyway and surrounding Bay. 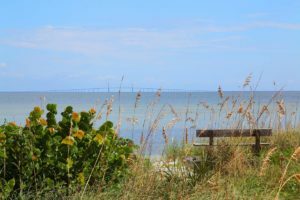 One of the more popular Anna Maria Island parks, many families flock here because of the array of outdoor activity it offers, including its playground and grassy areas. A great spot for fishing, anglers young and old will make a day of catching fish and grilling them right on the spot. Longboat Key is loved for its quiet beaches and island amenities. Longboat Key Beaches – Longboat Key is for those who prefer seclusion. These pristine beaches are a well-kept secret and public access is at a minimum. Undeveloped sandy beach extends from North Shore Road, south to the Sarasota County line, and is accessible only through residential street ends. Blind Pass Beach – Set on Manasota Key, Blind Pass Beach covers 66-acres of sand dunes, nature trails, and shorelines along the Gulf of Mexico and Lemon Bay. Picnic shelters, restrooms, and a playground make it an ideal retreat for families, couples, or anyone looking for their own stretch of sand. Stump Pass – At the south end of Manasota Key Road and known for its fossilized shark teeth, Stump Pass Beach State Park caters to environmentally minded beachgoers with its well-marked trail through five distinct habitats. During the summer, you can enjoy ranger-led turtle walks and beach nature hikes. Englewood Public Beach – Known for its wide shoreline perfect for sandcastle building, Englewood Public Beach is bordered by a long boardwalk providing extra amenities. The adjoining Chadwick Park has a playground area and public restrooms. Lido Beach – Located mid-island on Lido Key and only minutes from St. Armands Circle, the facilities here are considered outstanding by all who visit Lido Beach. Besides the beautiful sand and vistas of the sea, also provided are showers, lockers, dressing rooms, a 25-meter swimming pool, concession stand, public meeting rooms, beachwear, and souvenir shops and children’s playground. The Port Boca Grande Lighthouse is the oldest structure on the island and has been a beacon to mariners since 1890. 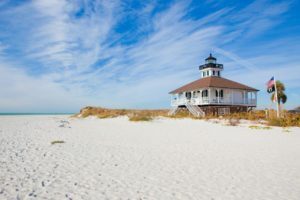 Boca Grande Beaches – No matter what end of Gasparilla Island you walk, you can always find a stretch of uncompromised beauty in the shape of its beaches. While not known for an array of public amenities, the most determined beachgoers that seek out this paradise by foot (since parking is limited) are handsomely rewarded with visions of Old Florida lighthouses, natural vegetation and the clear blue-green water that stretches beyond the horizon. 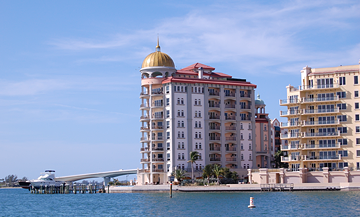 Now in its fifth decade of service, Michael Saunders & Company continues to establish itself as the foremost expert on waterfront property along Florida’s Gulf Coast. 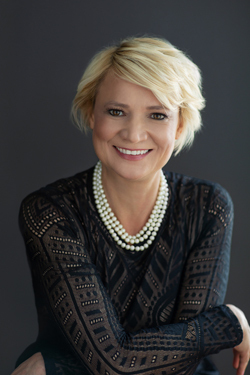 To learn more about current properties available near the above beaches and throughout Manatee, Sarasota, and Charlotte counties, talk to one of our area experts. And if you liked this blog, check out some similar articles below. We encourage binge reading whenever possible.